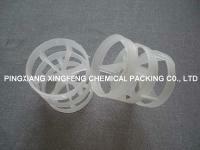 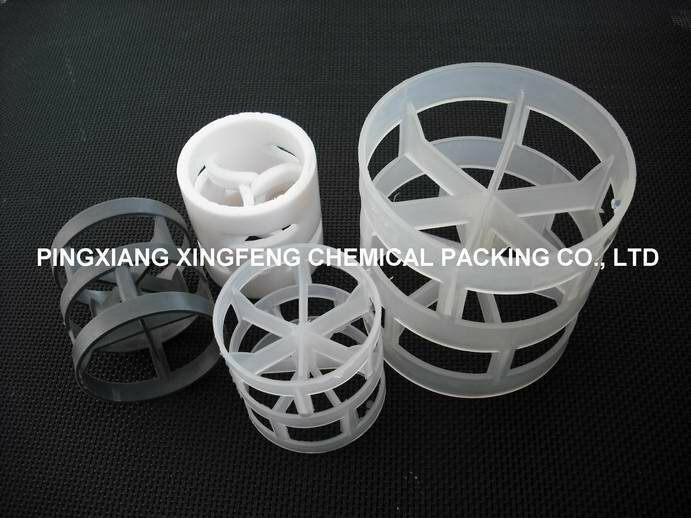 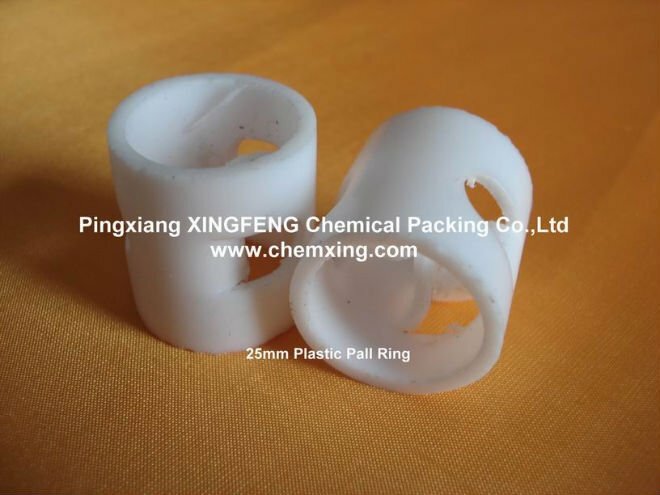 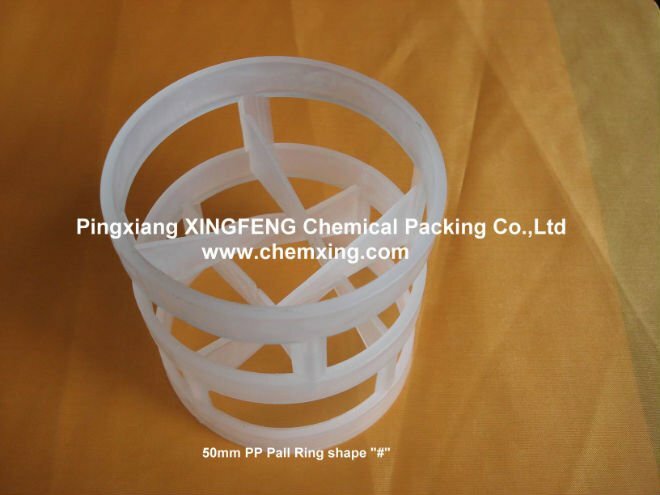 heat resistant and chemical corrosion resistant plastics, including polyethylene (PE), polypropylene (PP), reinforced polypropylene (RPP), polyvinyl chloride (PVC), chloridized polyvinyl chloride (CPVC) and polyvinylidene fluoride (PVDF). 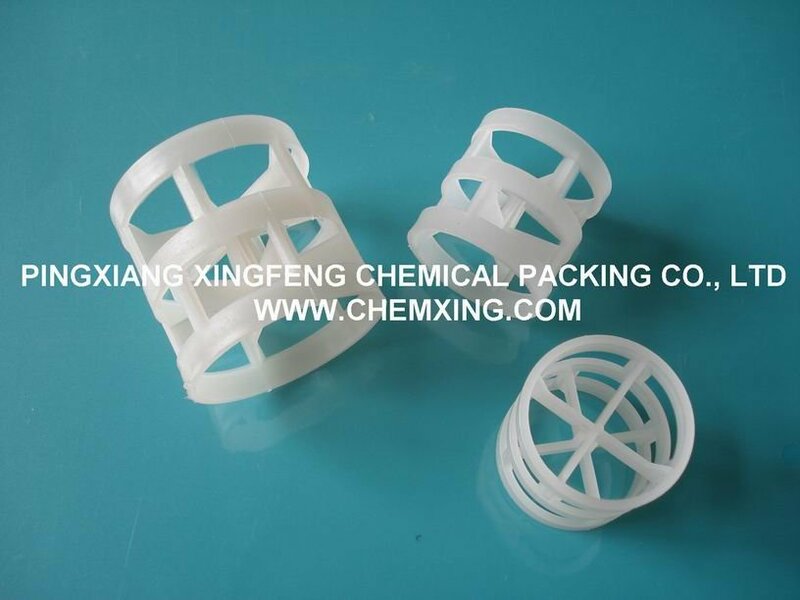 high free volume, low pressure drop, low mass-transfer unit height, high flooding point, uniform gas-liquid contact, small specific gravity, high mass transfer efficiency and so on, and the application temperature in media ranges from 60°Cto 150°C. 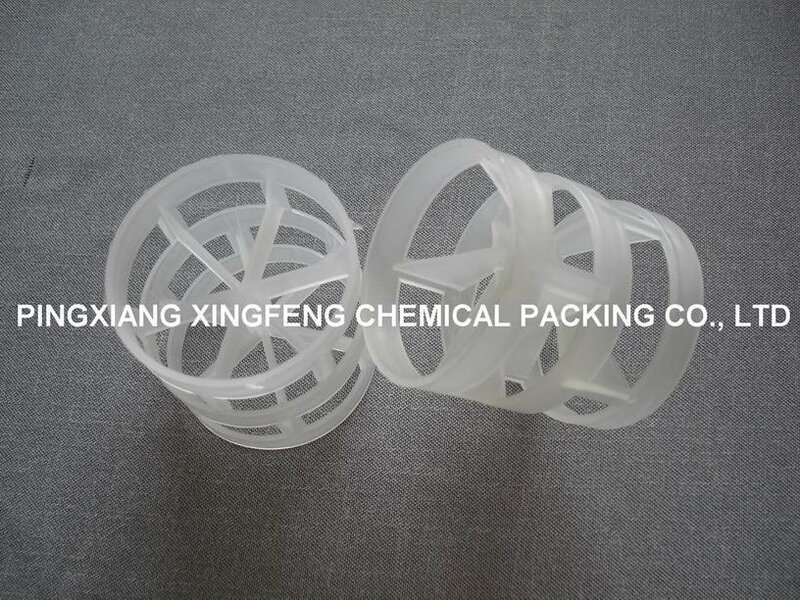 It is widely used in the packing towers in petroleum industry, chemical industry, alkali-Chloride industry, coal gas industry and environmental protection, etc.